Sir William Timothy Gowers, FRS (born 20 November 1963) is a British mathematician. He is a Royal Society Research Professor at the Department of Pure Mathematics and Mathematical Statistics at the University of Cambridge, where he also holds the Rouse Ball chair, and is a Fellow of Trinity College, Cambridge. In 1998 he received the Fields Medal for research connecting the fields of functional analysis and combinatorics. 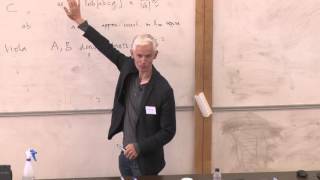 Speaking to a group of the best mathematicians in the world, Timothy Gowers talks about the applications of their work and the connections it has to other aspects of life. 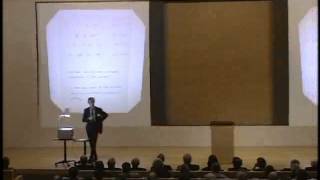 Professor Timothy Gowers (University of Cambridge) speaking at the LMS/EMS Anniversary Mathematical Weekend at Birmingham University The talk spans a number of topics as he plays with mathematical concepts.